If the president is to be evaluated according to his record against poverty, he would thus have to be considered a failure. Now that late 2016 has passed into early 2019, the time is rapidly approaching for the president to be taken at his word and evaluated according to the bold challenge he set himself. His marks are not looking good. A cynic might argue that Macri was not really raising the bar back then because he would be calculating that the rest of his presidency could hardly be worse than its first nine months (when 1.4 million Argentines slid into poverty). If so, he miscalculated. In stark figures, 33.6 percent of Argentines were below the poverty line in the third quarter of 2018 according to the INDEC national statistics bureau, whereas 32.3 percent were considered poor in the third quarter of 2016 when Macri was giving that press conference. Far from being any better, the situation is thus slightly worse – and it seems almost semi-miraculous that it is not dramatically worse, given that last year’s fall in wage purchasing-power is estimated at 17.7 percent, while pensioners were awarded a 28.83 percent increase in a year of 47.6 percent inflation. The difference between these two poverty figures is not striking, but some far more worrying trends are hidden inside these blanket indicators. In a ll recent years with a third of Argentines below the poverty line (even if it dropped closer to a quarter in the year 2017), various social commentators have highlighted that the same data point to half of the country’s children being impoverished because the poor have larger families – last year the Catholic University of Argentina (UCA) raised this figure to five children out of every eight (62.5 percent). 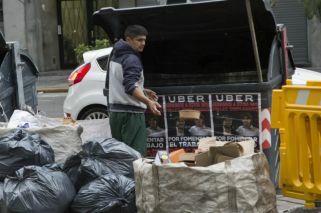 Another alarming trend is that destitution seems to be rising more sharply than poverty – just in Buenos Aires, this generally prosperous metropolis where we reside (with 21 percent below the poverty line, well below average), those living in extreme poverty have almost doubled in the last three years from 100,000 to 198,000, according to official municipal data released this week, when the difference between the general 2016 and 2018 indicators is minimal. If the president is to be evaluated according to his record against poverty, he would thus have to be considered a failure and nor can he compensate this with any real success in his other two 2015 campaign priorities – certainly not healing the rift between Argentines and while he has some results against drug-trafficking, they fall well short of any final victory. Elected as a marketfriendly administration which would set a stagnant economy booming again, three of his four years are doomed to end in negative growth while big and small businessmen across the board are scratching their heads to see any gain from such a conceptually ideal presidency. 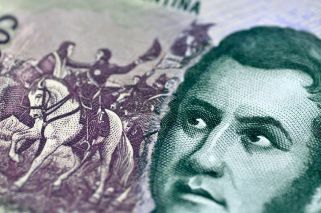 Governments can fail for a variety of reasons, such as international crisis or a dire inheritance (which Macri’s apologists often exaggerate but certainly did not invent) yet when they fail according to their own premises, this is especially serious. What are Macri’s successes? Less energy being imported or wasted (but with a conflict over production subsidies escalating). Yet perhaps the biggest triumph is fiscal balance – if “zero poverty” is way off target, “zero deficit” is not. Nor has this been achieved by robbing provincial governments, of whom only five closed last year in the red. On this basis the only real winner all this century has been the state – most obviously under a Kirchnerism doubling public spending and employment but also more subtly under Macri. Yet these remain the two main options facing the electorate this year with the paradox that the president asking to be judged on his record against poverty and flunking should not only be seeking another term but retain every chance of re-election.